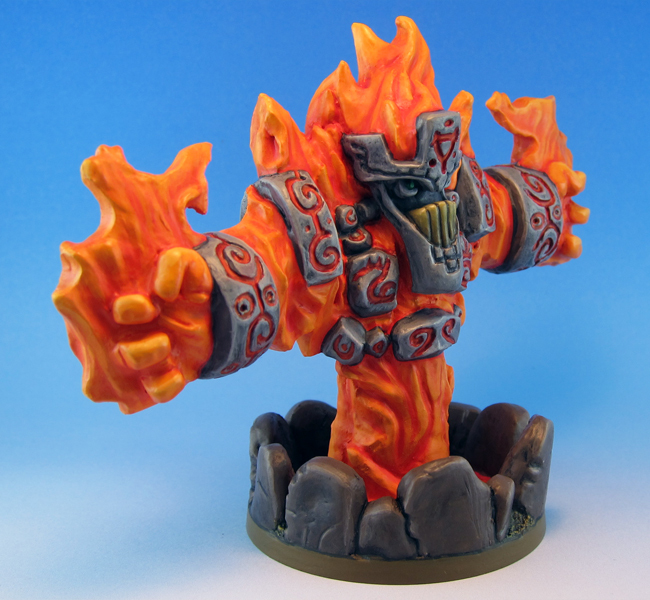 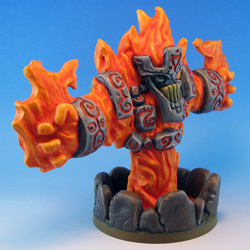 Roxor, the boss of the first SDE expansion, Caverns of Roxor. 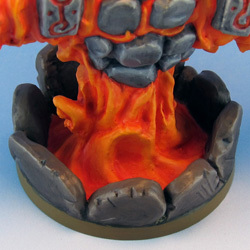 Roxor does not move around the dungeon in a classic sense, instead he erupts from the floor wherever he pleases. 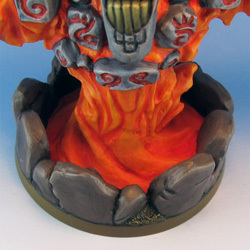 The original mini showed that rather well, but I wanted to improve on the idea and resculpted the base to show a lava pool, from which he emerges. 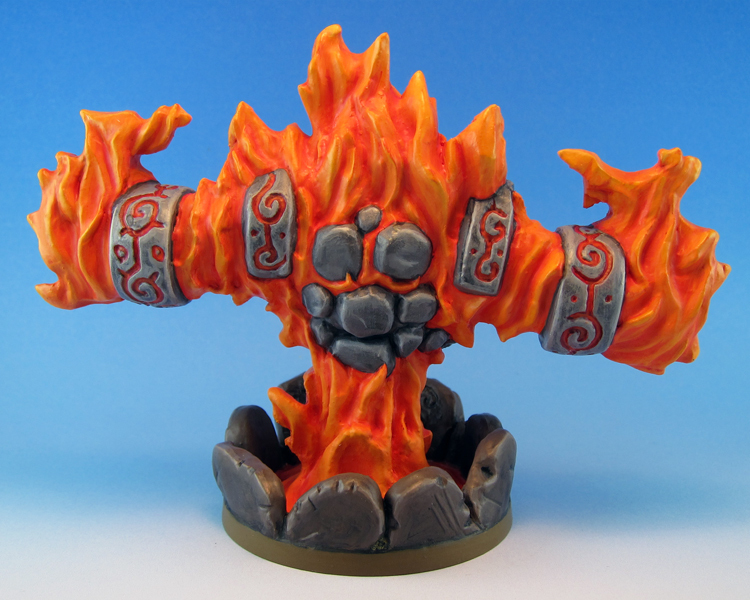 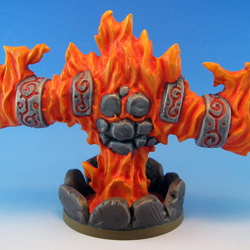 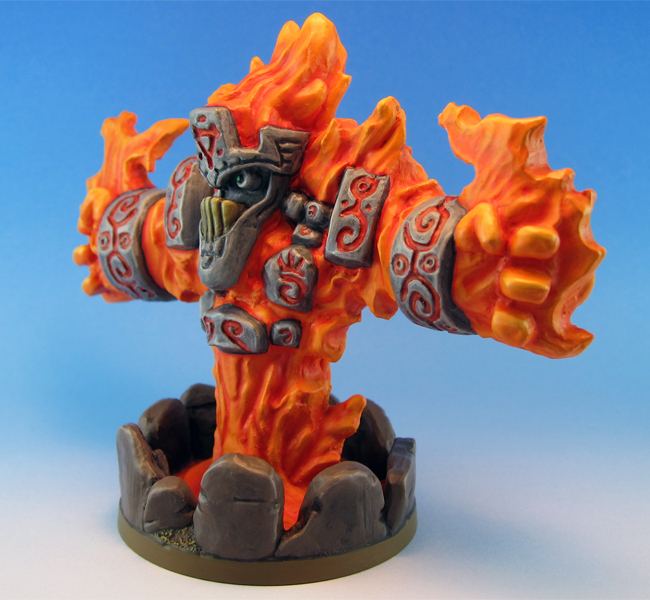 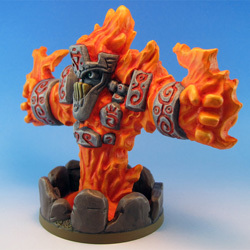 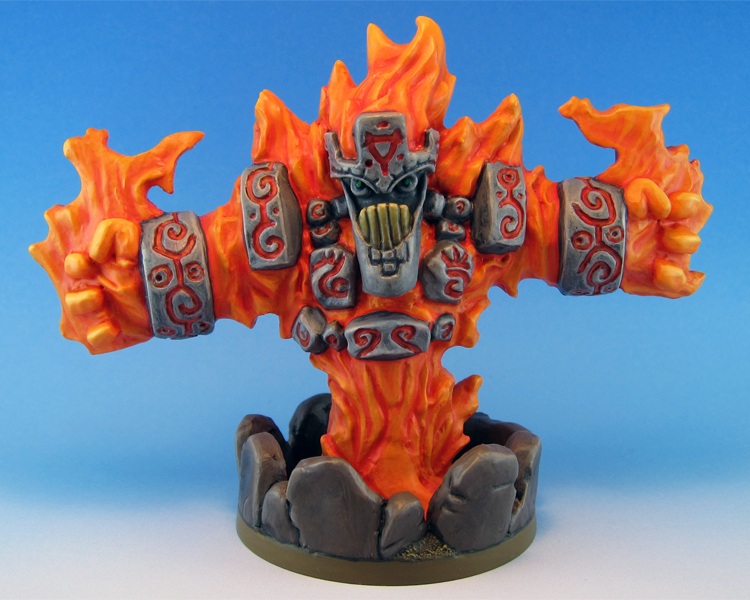 Lord of the Fire Flows, Roxor, seeks to create a molten paradise for his elemental brethren. 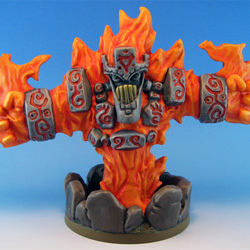 Harboring no empathy for the “soft” races he readily allies himself with the Dark Consul so long as their goals converge.